It’s never too early for students to get a head start on career exploration! 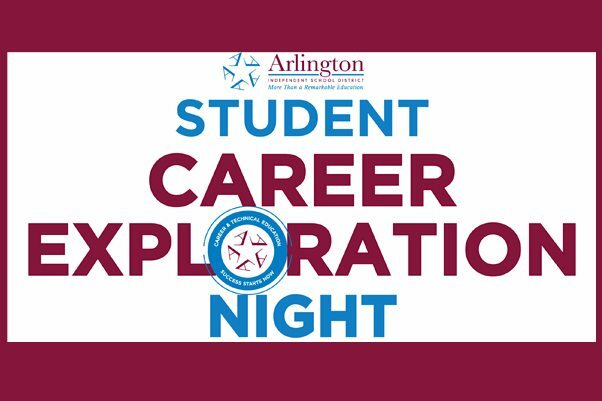 AISD fourth through eighth graders and their parents are invited to attend the third annual Student Career Exploration Night from 5:30 to 7:30 p.m. on Thursday, Jan. 24, 2019, at the AISD Dan Dipert Career and Technical Center at 2101 Browning Drive in Arlington. During this interactive, come-and-go event, students can explore career possibilities with local employers and the AISD Career and Technical Education department. Learn more about careers in architecture, education, health science, law and public safety, manufacturing and more!